The incoming officers for all Clubs in Finland will be trained on Saturday 28.6.2014 in Postitalo. Please arrive at 9:45 latest, so we can start briskly at 10:00. 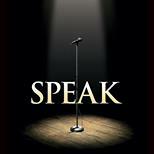 Sign up for the event on EasySpeak. See you! Adriana Vasilache 2014-03-06 2016-03-10 Comments Off on 6th club in Finland charters!